Why was the first picture below worth $50 million, or more, at the time of writing this page based on recent auction sales, when the second could probably be bought for less than $1,000? 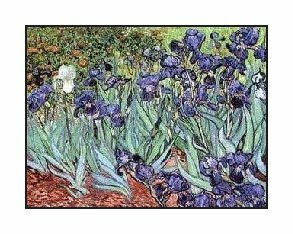 The first picture above of Irises is by Van Gogh of course, but second one is of Erythrina flowers by little known artist Mary Butler. Many people who visit this web site are interested in knowing what the value of a painting that they own might be. For example, what price would they get for it if they chose to sell? This is not as straightforward a subject as might appear at first sight, so these notes are aimed at explaining the issues involved and how one might go about obtaining a valuation. First, as in all markets, there are different prices depending on whether you are buying or selling. The professional art dealer, who in practice operates like any retailer, has to have a margin between the prices he is buying at and the prices he is selling at, to enable him to stay in business. Bear in mind also that art dealers often have to renovate or clean a picture, and frequently re-frame them, so as to make them attractive to the buying public. Likewise, auction houses have to make a profit - the latter may be of the order of 30% when you take into account the selling commission, the buyer's "premium" and other miscellaneous charges. Also taxes may apply to some of the charges. There are also different markets for the high volume "professionals" as against the low volume "amateurs". Auction prices tend to be lower than retail prices (even discounting the buyer's premium which is often ignored), simply because the auction markets are dominated by trade buyers who have the time to spare to visit the auction views and attend the auctions. They will use their own judgement about the provenance and quality of the picture, and will ignore "condition" problems if they can be repaired. Different prices also apply for other purposes (in addition to the "buy" versus "sell" issue if you are considering trading the picture). For example, if you wish to put a value on a picture for insurance purposes, that value needs to be higher because it needs to cover the cost of replacing the picture if it is lost or stolen. Finding a replacement picture of similar quality will often not be easy, and involve significant additional expense, so insurance valuations need to be higher - for example they might be 10% on top of what you have just paid for a picture from a dealer. But if you are valuing a picture for "probate" purposes (ie. to determine the value of a person's estate on death), you may want to take a more conservative view. For all the reasons above, valuations can sometimes be halved, or doubled, depending on the purpose of the valuation and from what direction you are coming. Another common misconception is that paintings can be valued like stock market shares, ie. that the market is efficient and the prices are well known. This is rarely the case. Given that you know who the artist is, this might give you an indication of likely price range from looking at past sale data, but individual paintings vary a great deal in size, quality, condition, subject appeal, etc. In addition, the market is "illiquid" because works by particular artists only come up for sale spasmodically, the prices are affected by fashion, by how many people turn up at an auction on the day, and by many other random factors. Note also that many of the sales are not even recorded. So the data that is available tends to be "indicative" at best. You may find that there are one or two avid collectors of the artist - if they are interested in the picture and are aware it is for sale, the price obtained may be high - if not, or there are no such collectors, then the price will be low. But collectors come and go, and are fickle in their allegiance. 1. The artist. Paintings by artists who are household names will be priced in the stratosphere and are really outside the scope of this web site. However, lesser artists who have an established reputation and are well known to art collectors may well be priced in the range £5,000 to £100,000 ($6,500 to $125,000 approx.). Artists who are still "known" in the sense that they are historically recorded, but whose work is considered of somewhat lower quality may be priced in the range £1,000 to £10,000 ($1,250 to $12,500). If a work is signed, but by an unrecorded artist, the value is rarely more than a couple of thousands of pounds and more typically in the hundreds. Any unsigned or unattributed picture is unlikely to be worth very much irrespective of the quality of the picture (there are of course very few good quality pictures that are not attributed to somebody, for reasons you can no doubt guess). 2. The size. 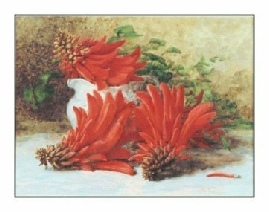 Larger pictures are generally more highly priced - double the size may be double the price. However, if the picture is so large that it does not fit into a normal sized house then selling it may be somewhat problematic unless it is the kind attractive to museums or other institutions. 3. The aesthetic quality. Good pictures by good artists are priced more highly than bad pictures by the same artists. What makes a "good picture"? Refer to the Appreciation page. Sketches where the picture has clearly been done quickly, or is otherwise "unfinished", will also be very much lower in price. 4. Subject matter. Certain subjects are likely to fetch lower prices than others. For example religious themes are now out of fashion, and the Victorian penchant for dead wild life is no longer popular. But pictures of cats and dogs tend to fetch higher prices than the quality otherwise justifies. 5. The condition. Pictures where the paint is damaged or faded will fetch a lower price. Likewise if the picture is dirty or badly framed, the price may be lower. But if any faults are easily repairable then the impact may not be so severe. 6. The media. Oil paintings are typically valued more highly than watercolours. This is primarily because they take more time to paint, the paint lasts longer and does not fade with age. For example very few watercolours are valued at more than £50,000 ($70,000) and many watercolours by professional artists may still be in the £500 to £1,000 bracket ($700 to $1,500). Drawings and prints are the least valued, however well known the artist. There is more on media types here: Media. 7. A clear attribution. Pictures where there is no clear signature, or where the attribution to the artist is doubtful, particularly if the style is atypical of the artist, will achieve a lower price. This is particularly the case with higher priced pictures where undoubted authenticity is an essential. Note that there are reference books that list common artist's signatures and monograms (eg. by Caplan and Creps), or look at the ArtPrice site mentioned below for online information. 8. Where the picture is located. If a picture is sold in some remote location such as in parts of Cornwall or Wales in the UK, you are likely to get a lower price than if you sold at the major London auction houses. Reason: simply transporting the picture costs money, so auction prices tend to be slightly lower in provincial auction houses. Similarly provincial art dealers may buy and sell for less because they have lower overheads than central London dealers. 9. Recent publicity. Any recent publicity concerning the artist will help prices. The classic example of this is when the artist has just died, when he may be the subject of press coverage and retrospective exhibitions. 10. Rarity. Particularly where there are collectors of an artist, the fewer examples that come onto the market, then the higher the price they tend to fetch. Similarly if the subject matter is particularly unusual or the painting is from a particularly interesting stage in the artist's career, this may raise the price. But bear in mind that if the artist's work is so sparse as to be barely known, then it can languish unappreciated and uncollected. 11. The Age. Older paintings, at least those more than 100 years old, may be worth more simply because of their antiquity and rarity. However the older a picture is, the more it's condition tends to worsen, particularly with watercolours. Also picture styles and artists can go out of fashion, especially in the 50 years after the artists death. So for example, until recently many Victorian genre paintings were worth very little. Age is therefore not a consistent predictor of value. Clearly who the artist is has a big impact on the price of a painting. There are several sources of data on what prices pictures by specific artists have sold at in the past (typically auction hammer prices). There are a number of published books and internet web sites that give such data, and magazines that list recent sales. Also services can inform you when pictures by particular artists are coming up for auction. We have not listed these sources here because they tend to come and go fairly rapidly so this web site would soon become out of date. The above information sources provide a way to get a rough idea of the likely range of values of a picture, assuming you also take into account the "factors" listed previously. However, they are not likely to be anywhere near as good as a professional valuation by someone who regularly deals with the artists work (and those of similar artists). Also of course, for legal or other reasons, you sometimes need an independent written valuation. Such valuations can be obtained from many picture dealers or auction houses. How do you select the best ones? For picture dealers, try to select ones who deal commonly with the same kind of pictures, ie. with the artist's work or with similarly priced works. Try searching the internet for dealers who already have the artist's work in stock. Note that asking a dealer for a valuation is not necessarily the same as asking what they would offer to buy the picture. There are also independent valuers who are often more capable of valuing a range of items in addition to paintings. For auction houses again select those that are most appropriate. For example if your picture is of the best quality by a well known artist, contact one of the major London auction houses. For lower price items, and more convenience, a more local auction house may be more appropriate. We regularly get asked for some advice on picture valuations and other associated information. We may be able to answer simple queries but we do not have the resources to provide valuations or do research into particular artists. Please do not ask us to do this or send us digital photographs of paintings unless we have invited you to do so. Any advice we may give should not be relied on for any purpose and you should consult a qualified and respected authority in the field for a specific valuation. If you wish to contact Panvertu then use the Contact tab above. The information supplied above is believed to be correct at the date of writing (Jan 2003).